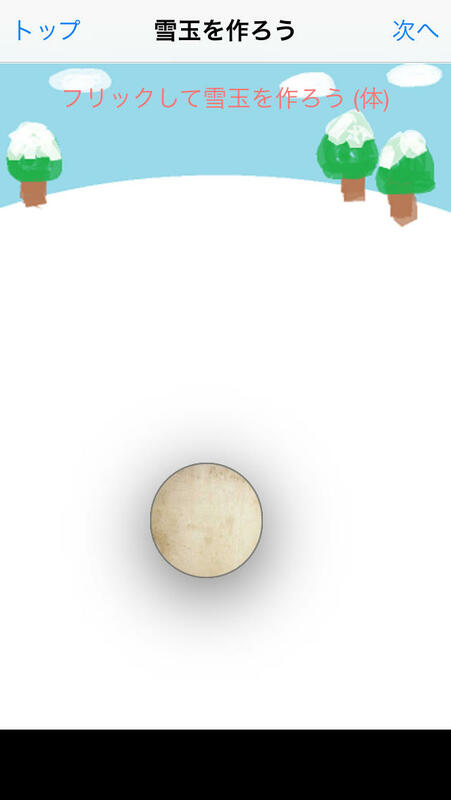 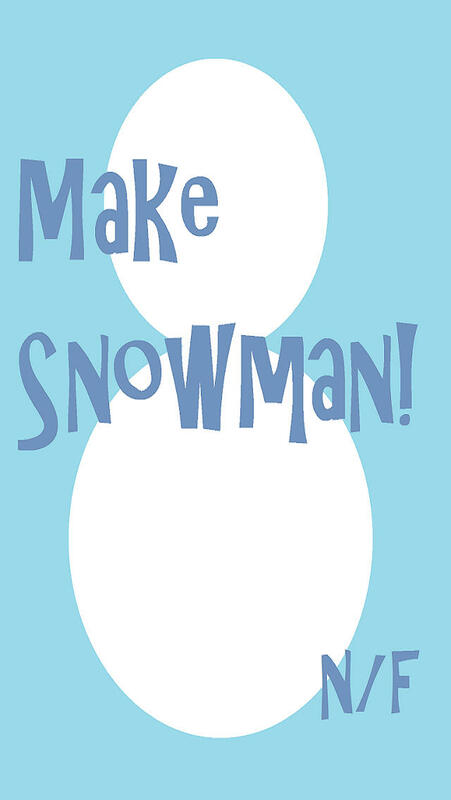 1.Roll two snowballs and make snowman's body and head. 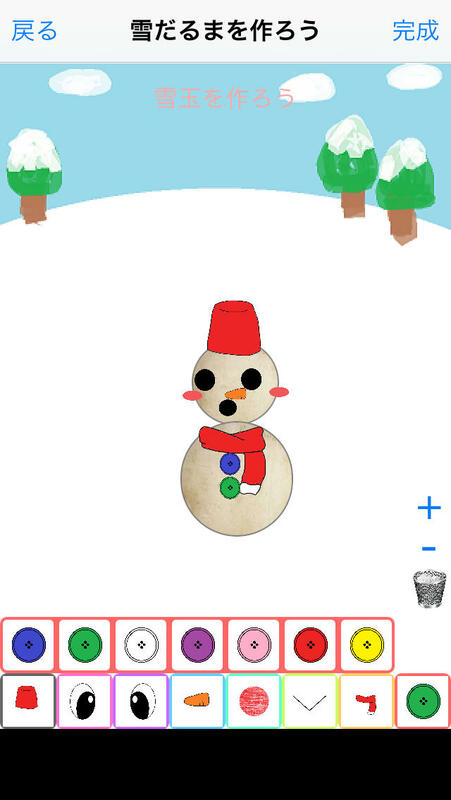 3.Decorate the snowman with eyes,hats,cheeks,as you like! 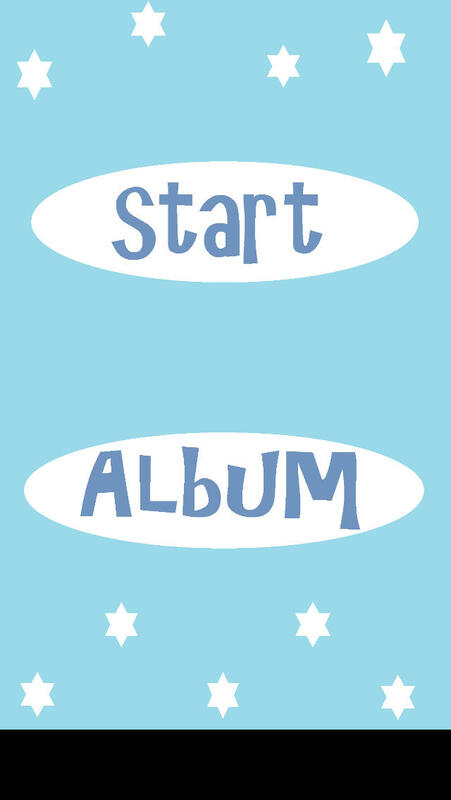 ※This application does not operate in 6.1 or less iOS.